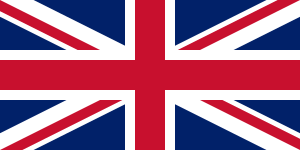 ↑ Union Jack, The official website of the British Monarchy. ↑ "Statement by the Hon. Jason Kenney, PC, MP Secretary of State (Multiculturalism and Canadian Identity) on Commonwealth Day". Canadian Heritage. 10 March 2008. สืบค้นเมื่อ 2010-06-17. หน้านี้แก้ไขล่าสุดเมื่อวันที่ 29 ธันวาคม 2560 เวลา 22:39 น.